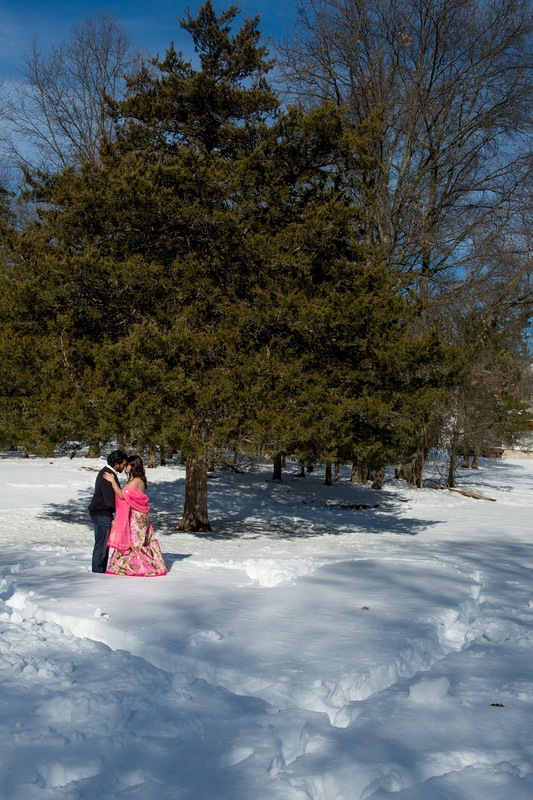 Winter Photo shoots look magical.. the white snow blanketing the ground offers a perfect stage for the love stricken couple to get even closer and be romantic… and get photographed too 🙂 . 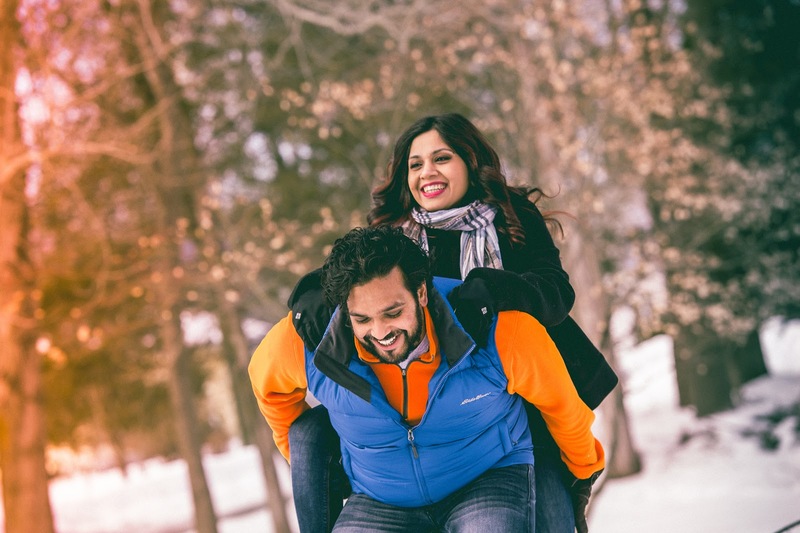 Although the cold weather may be causing you to almost freeze, the snow looks amazing as a backdrop for engagement photos. Aarti and Ajay love life, love changes of life. 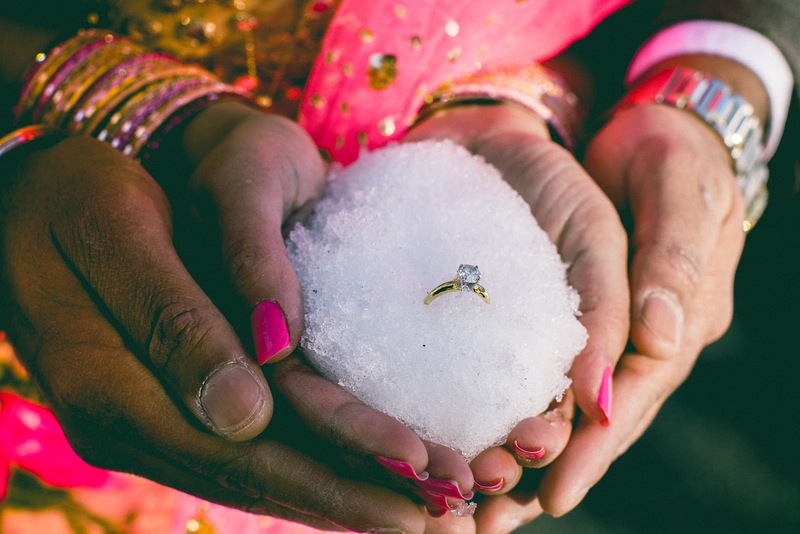 When asked why winter engagement session, Aarti said, “We want to encompass all of the seasons in our wedding festivities. Engagement party was on a bright summer afternoon, the Wedding is in fall, Honeymoon will be in spring. 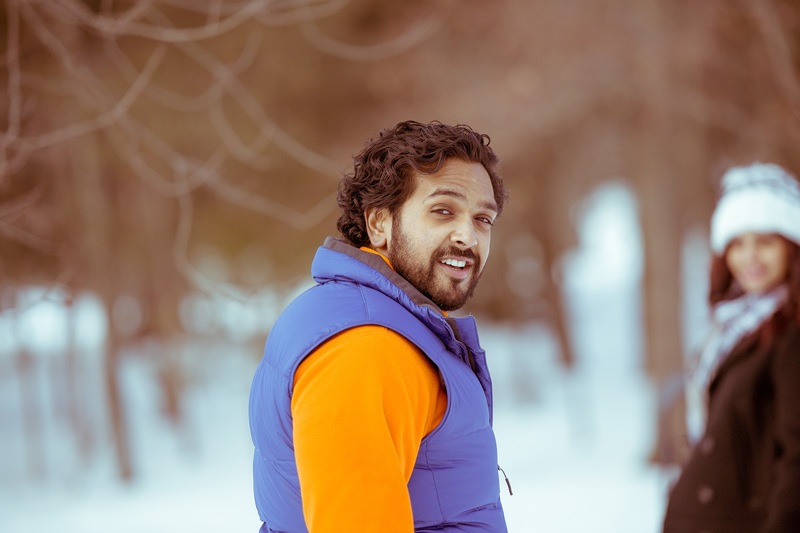 A winter themed Engagement session will complete it”. 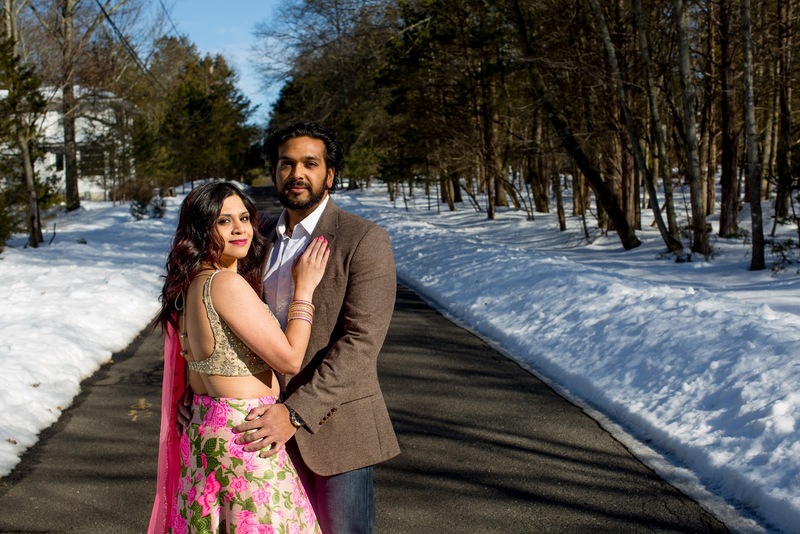 Aarti and Ajay’s Engagement shoot should have been very easy… they live in New Jersey… no dearth of snow, right? Wrong. New Jersey did not have a single snowstorm this winter till last week. And when did the snow storm happen? Just before Aarti’s Birthday. 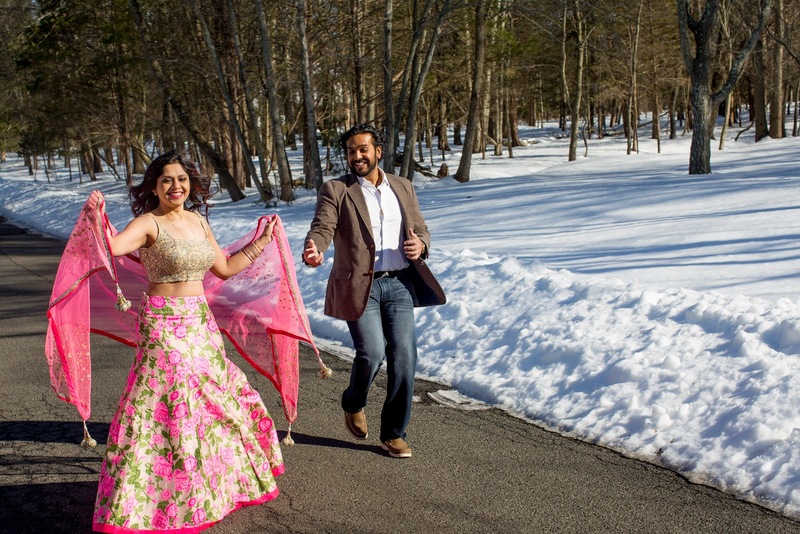 So what could be better than celebrating your birthday dressed up like a Bollywood heroine in lengha and stilettoes and run around on the snow with the love of her life? Happy Birthday Aarti. Winter accessories can be really cute. 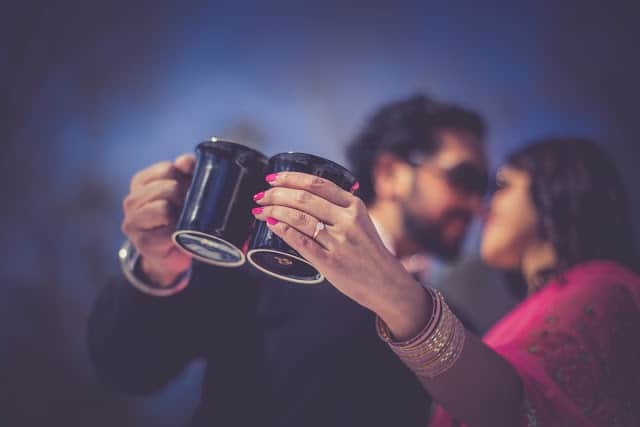 Scarves, Hats, Mittens, long boots but lengha choli, bangles, dangling ear rings could be fun too. The last accessory was really great – a white Great Pyrenees (a resuce dog from the Somerset Animal Shelter) who was quite a diva herself!!! 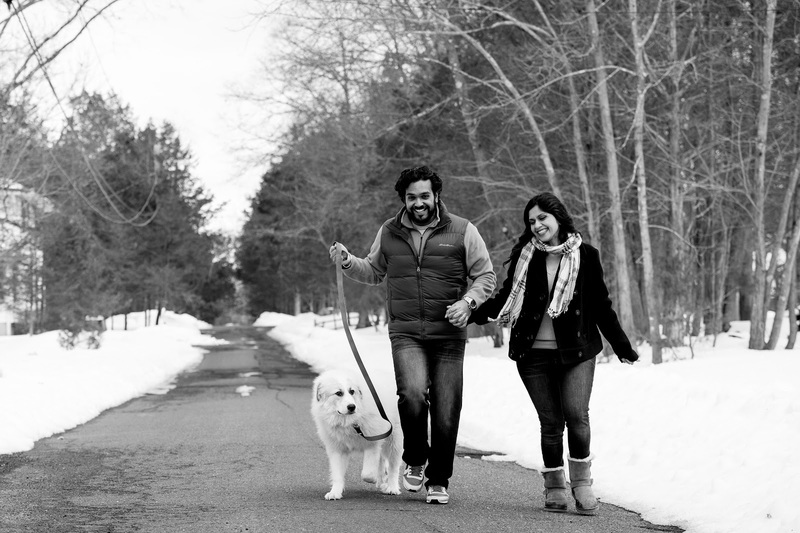 We love doing engagement shoots with dogs. We really think we should do more. So how was the shoot? 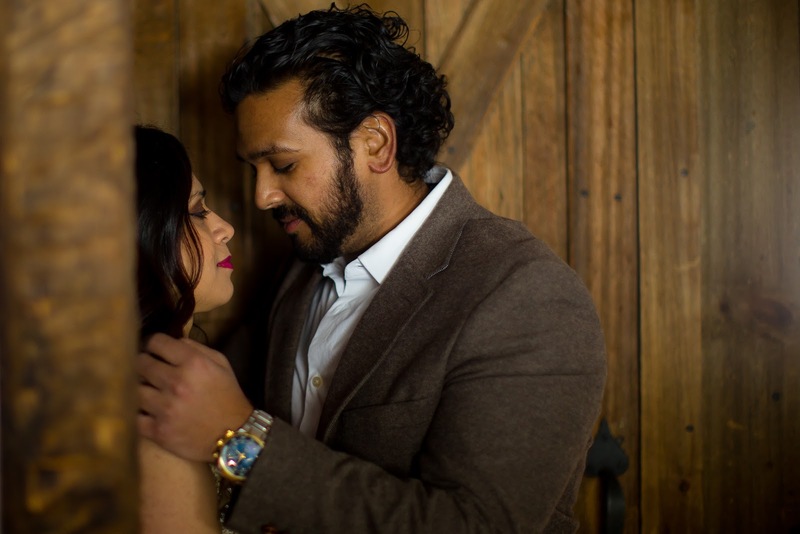 Aarti says, “The shoot was crazy. I mean we were in the snow in Indian outfit for petes sake!!! However it was such fun the cold did not really bother us at all. 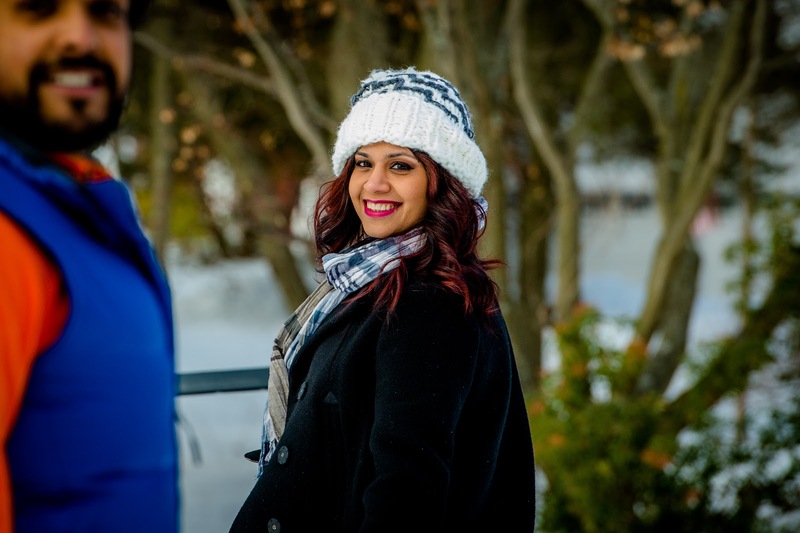 The photos came out great, like a winter wonderland. 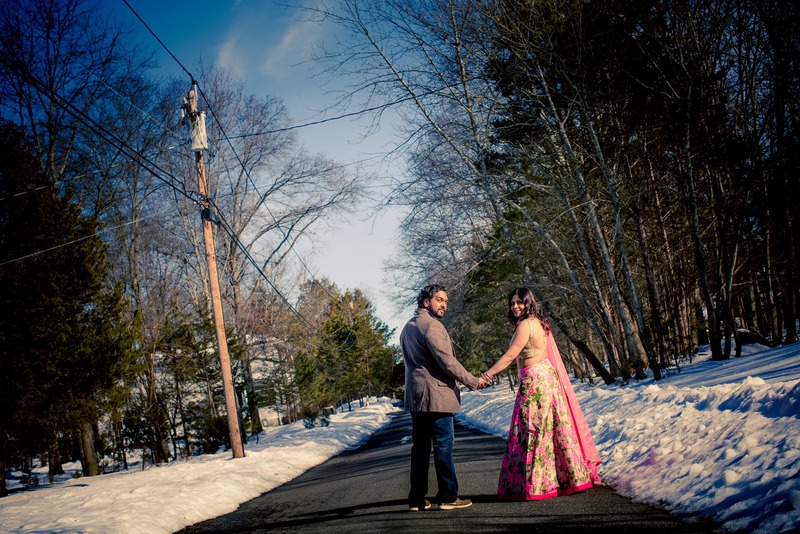 The snow as a backdrop contrasted the colors that we wore brilliantly. I’m glad we chose the time and PhotosMadeEz for our Wedding”. We did not ask Ajay how he felt. The photos say it all.